"I love this place. Every time I go there they're all super sweet and always helpful." "My skin was absolutely glowing and I definitely felt improved elasticity and tightness." "This is a top-notch spa. My skin is glowing and my spirit even feels refreshed!" "My skin feels better than it has in a long time and looks years younger." "A-maz-ing!!! I will definitely be back. I already scheduled my next appointment." 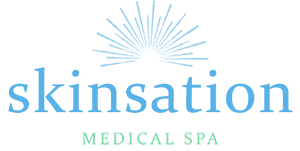 Skinsation Medical Spa is a top-rated practice that provides a full range of aesthetic treatments and health services, including advanced skin care, minimally-invasive body contouring, and weight loss services. Located in Goodlettsville, Tennessee, the spa serves residents from the greater Nashville metropolitan area. Led by Dr. Nadja Colon, a cosmetic surgeon with extensive experience in a wide range of surgical subspecialties, Skinsation Medical Spa is staffed by a team of highly-trained nurse practitioners, laser technicians, and aestheticians who specialize in medical, noninvasive, anti-aging, and conventional beauty treatments. The team offers a complete menu of aesthetic services, including clinical facials, corrective chemical peels, laser hair removal, microneedling treatments, cosmetic injections, and skin rejuvenation. Skinsation Medical Spa boasts comfortable treatment rooms which provide a private, safe, and relaxing environment. Treatments and procedures are performed with the most advanced equipment and skin care products available, and the staff receives ongoing training to ensure the safest and highest standard of results, with the least discomfort and downtime. The staff helps guide you through your treatment options, including the benefits and possible side effects of each. They’re committed to understanding your concerns, so they can alleviate them in the best and safest way possible. No question is too small, and they’ll always do their best to give you the information you need to feel comfortable. Dr. Colon and the team of experts at Skinsation Medical Spa take pride in doing everything they can to enhance the well-being and self-esteem of everyone who comes through their doors. "Great spa with a very friendly staff, I will be back for more pampering!" "Great group of people. And so knowledgeable. They don't mind answering any questions about all of the services they offer." "Wonderful staff! I feel very well taken care of and treated so nicely. Very informative and glad I found Skinsation Medical Spa." "Went for a chemical peel, loved the atmosphere! Will def be going back!" "I LOVED my experience! They were friendly, funny, and accommodating! My services were done professionally and in a timely fashion. I will be coming back."